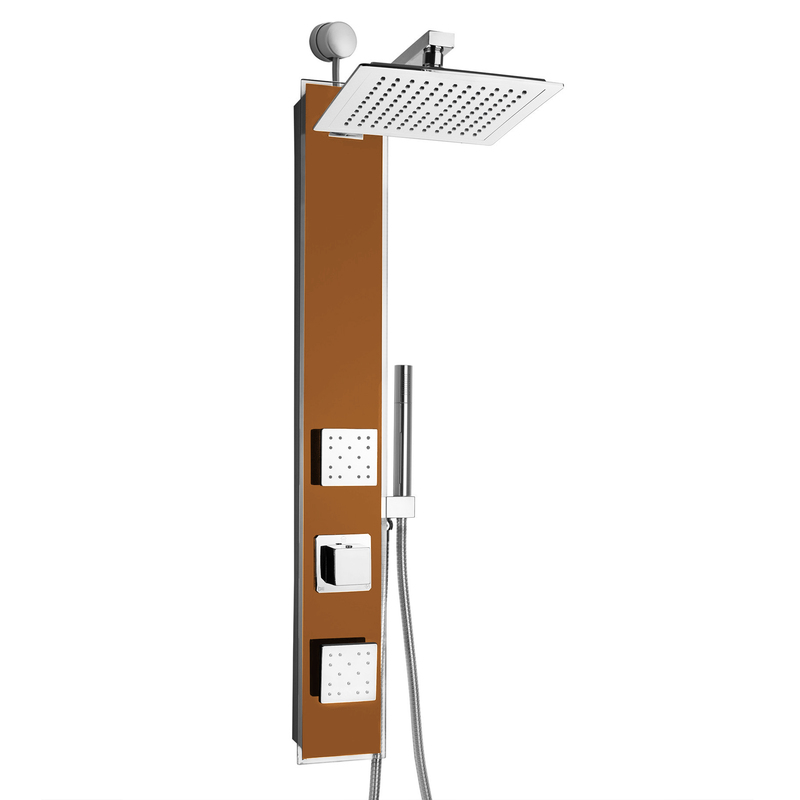 The Torento Shower Panel System is a Oil Rubbed Bronze Shower Panel that comes with a variety of features like Rainfall Shower Head, Body Shower Jets & a Hand shower. The Torento Shower Panel System is made of Tempered Glass	& is wall mounted which comes with all the accessories requires for installation. Easy installation, come with all standard installation accessories. After renovating our bathroom and then installing this shower panel, anyone that comes across this shower panel does not leave without being awestruck. 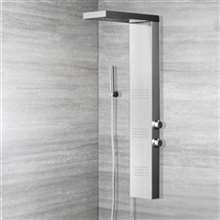 This Toranto Shower panel is the perfect fit for my bathroom and it goes without sayinh that it deserves 5 stars. 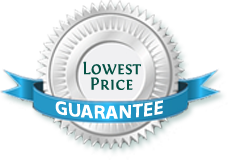 Also the price is very reasonable for the quality and its efficiency. I guess I was pretty lucky to have gotten this during the sale. The price cut was about 50% so Just imagine how many hundreds of dollars I was able to save on this purchase. Aside from that, the shower panel itself works really well and I haven't noticed anything wrong with how it works. It looks pretty good, too. 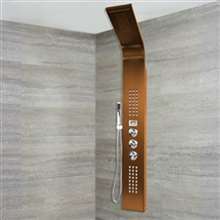 I was looking at the different shower panels here and this is one of those that I found to be within my budget. The features doesn't look much, but it's more than enough, and for the price, I really don't think that there's anything to complain about. The finish also looks good, and it actually looks more expensive than it actually is. I bought this one during the sale because I thought that I'd be saving a lot of money on this purchase. Well, I did, but then after going over the shower panel and having used it for several weeks now, I think I paid a little too much for it. I mean, it's a great shower panel, it's just that I'd be a lot happier if it were cheaper. It's great, yes, and expensive too. After about an hour of going over this website, I finally chanced upon this shower panel and it seemed to be the perfect fit for my bathroom. I found the design really appealing and beautiful, and though it was pricey, I thought that it was worth it considering the image and the product specifications. Well, I was even more convinced that this is indeed value for money after having it now for a month.